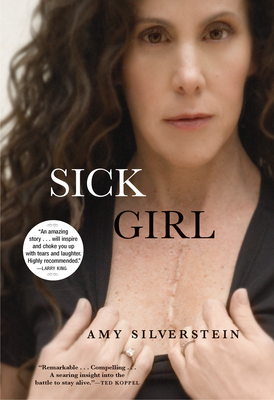 The hardcover publication of Sick Girl garnered tremendous attention, generated impressive sales, and ignited controversy. Both inspiring and provocative, reactions to the book ranged from inflammatory posts on a U.S. News & World Report blog, to hundreds of letters from readers, to a full-page review in People. Amy's force, candor, and her refusal to be the thankful patient from whom we expect undiluted gratitude for the medical treatments that have extended her life, have put her at the center of a debate on patient rights and the omnipotent power of doctors. At twenty-four, Amy was a typical type-A law student: smart, driven, and highly competitive. With a full course load and a budding romance, it seemed nothing could slow her down. Until her heart began to fail. Amy chronicles her harrowing medical journey from the first misdiagnosis to her astonishing recovery, which is made all the more dramatic by the romantic bedside courtship with her future husband, and her uncompromising desire to become a mother. In her remarkable book she presents a patient's perspective with shocking honesty that allows the reader to live her nightmare from the inside--an unforgettable experience that is both disturbing and utterly compelling.